One of the benefits of farming in the sky is the quick and easy disposal of manure. 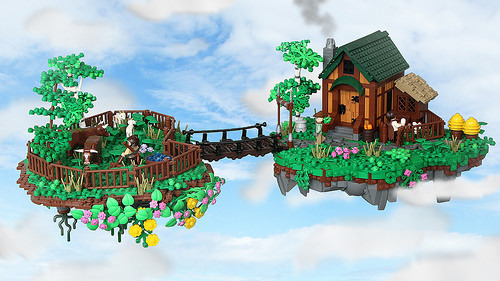 If you thought that joke was stinky, freshen things up with this pair of awesome looking floating islands by -Littlejohn and Isaac. They look amazing, and that's no bull.